With content marketing such a hot topic in the digital sphere at the moment, inevitably there will be plenty of books written about it. But when Bruce Clay, one of the captains of the SEO industry, writes a book about content marketing it’s one to pay attention to. 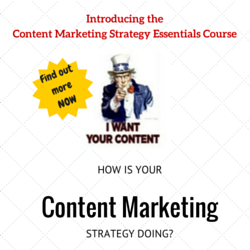 Published in December, Content Marketing Strategies for Professionals is a collaborative effort from Bruce Clay and Murray Newlands, and peppered with examples from both men’s wealth of experience in the industry. This makes the book very pragmatic and geared towards practical application – little words are wasted on theorising about content strategy. This is amplified by the numerous case studies and nuggets of wisdom peppered throughout the book provided by other, often well-known professionals from the field, including Jonathan Colman, Lee Odden, Virginia Nussey and many more. The book’s 10 chapters are spread out across 196 pages, making it a relatively short book you’ll easily digest in a few sittings. The first chapter explains the whys of content marketing in the context of SEO, should anyone not be sufficiently convinced of its necessity. In chapter 2 Clay and Newlands explain how to plan a content marketing campaign, and I liked their simple three-phased approach of establishing objectives, identifying the audience, and auditing & creating content. However I felt there was a notable lack of content on measurement and improvement, something which later chapters did not adequately address. Choosing topics for content is discussed in chapter 3, and provides a very comprehensive overview of keyword research as well as a solid introduction to competitive analysis. This chapter wouldn’t go amiss in a SEO handbook. Then chapter 4 talks about blogging, and a considerable section is dedicated to generating strong titles for your blog content. While there are good tips on offerm I felt this chapter lacked depth and leaned heavily on the over-used ‘top 10’ lists and Buzzfeed-type ‘viral’ headlines. I’m not a fan of those and we’re starting to see the early signs of audience fatigue towards those headlines as well, so I wouldn’t necessarily advocate their use. The chapter is salvaged somewhat by a good section on evergreen content, though I’d liked to have seen more tips and advice on long form content. There’s also plenty of info on guest blogging, though a bit light on advice for doing effective outreach to get those guest blog opportunities in the first place. A missed opportunity, I felt. Content curation is the focus of chapter 5, with some solid tips on the hows and whys. The next two chapters talk about the importance of video and images as part of a content marketing strategy, with examples of different types of visual content and how these can work in a wider content marketing strategy. There are also some good tips on optimising videos and images for visibility in search. Chapter 8 talks about an often overlooked but very valuable aspect of content marketing: event coverage. Here Clay and Newlands target both event organisers and attendees, and show the value of live coverage of industry events to establish your business as a leader in your industry. There’s good advice on optimising an event for maximum coverage, and tips for attendees on how to cover events well and ensure the content you produce from them aligns with your audience and earns you links and exposure. In chapter 9 the authors discuss social media in the content of content marketing, and here I felt the book fell a little flat as the usual platitudes about connection, conversation, and engagement are rolled out. 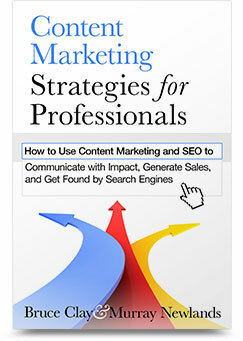 The chapter doesn’t add anything new or insightful, and spends a lot of time talking about Google+ Authorship but neglects to mention Facebook Open Graph or Twitter Cards. The final chapter explains the necessity of integrated campaigns using paid, earned, and owned media, and serves as an introduction to integrated online marketing. However once again the chapter is too superficial to my liking – the paid media segment has a heavy focus on PPC advertising in search but there’s no mention of other paid media channels like social media ads or native advertising. The sections on Owned and Earned media are equally sparce. Content Marketing Strategy for Professionals is a short, straightforward book that adopts a very hands-on approach to its topic. That is both the book’s strength as well as its shortcoming: it works well as a primer for people who are new to content marketing, but anyone with more than a passing knowledge of the material will not find anything new or inspiring. There is a notable lack of depth in almost every chapter, and some aspects of content marketing strategy that I think are crucial, like effective web analysis, are never even mentioned. It doesn’t deliver on the title’s promise – it’s more a book for starters rather than seasoned professionals – but if taken as an entry-level text, the book works well. The lack of depth and novel ideas means it won’t be used as a reference, however, so it’s best seen as a single-use text to bring newcomers up to speed. Can You Use Call Tracking in your Social Media Marketing? Tempted to try this for new-starts. Any recommendations more more in-depth reads on the same topic? I tend to avoid anything too tactic focused as they’re often out of date before they’re published. For new starts this book is indeed ideal – it won’t overload them and will give them plenty of actionable tips to get stuck in straight away.